Welcome to music festival season, which unofficially kicks off every year with Coachella. The annual pilgrimage to Indio, California is always a gold mine for good music, boundary-pushing fashion, and cool hairstyles. The festival draws in celebrities and influencers by the hundreds and sets the tone for what the big trends of the summer will be. 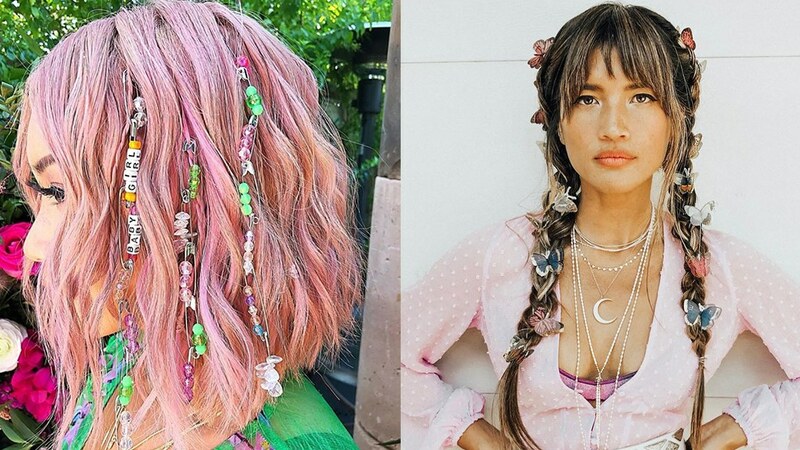 But if you’re thinking of flower crowns and rolling your eyes (look, we love flower crowns, but—as one fictional editrix said—florals for spring aren’t exactly groundbreaking), we’re happy to report our troops on the ground have spotted plenty of fresh new takes on festival hair. Think arts-and-crafts “camp” hair, headbands galore, and plenty of glitter. Here, 37 fresh ideas you can use all summer long, seen on people at the fairgrounds.